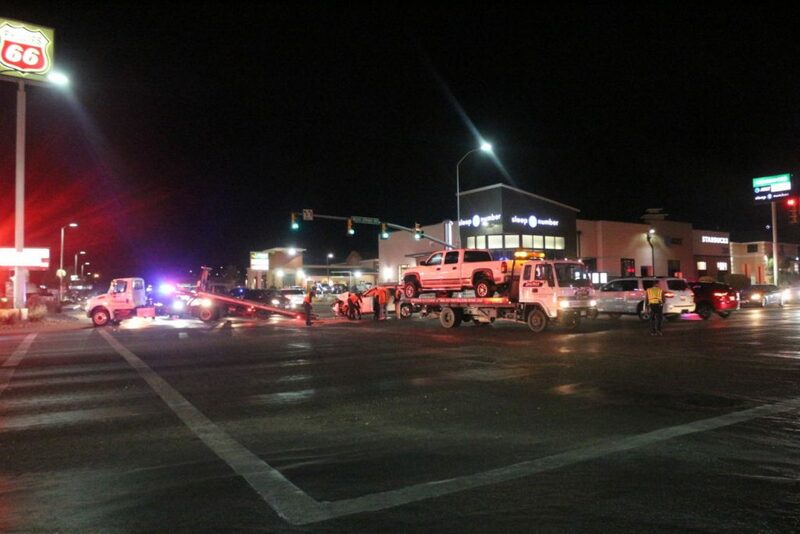 WASHINGTON CITY – A left-turn collision in one of the county’s busiest intersections hampered traffic and sent a woman to the hospital Wednesday night. Around 6:40 p.m., calls came into the St. George Communications Center reporting a two-vehicle crash in a part of the Green Springs-Red Cliffs Drive intersection in Washington City, said Ed Kantor of the Washington City Police. 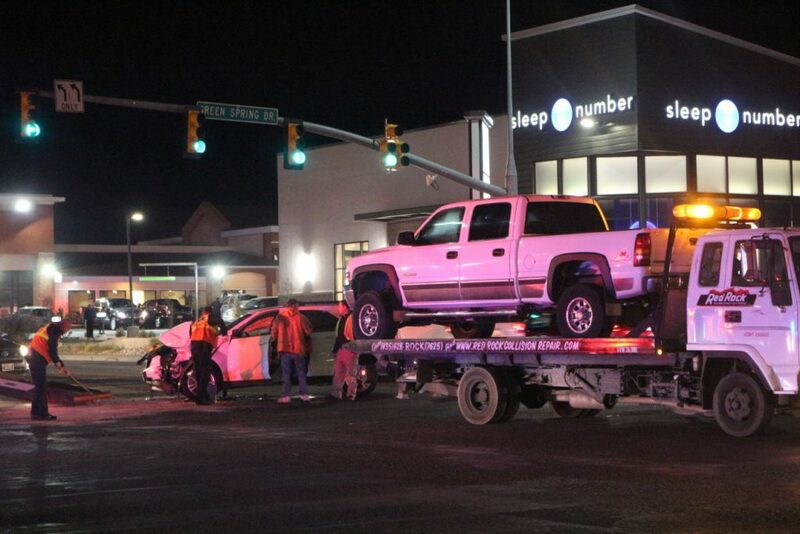 Responding police officers found a white Chevrolet pickup truck had collided with a white Chevrolet SUV. 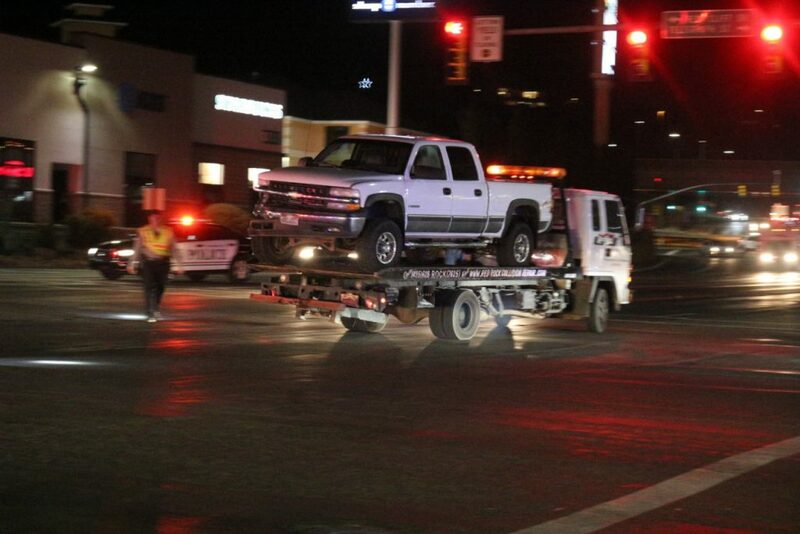 Prior to the collision, the driver of the pickup truck had been northbound from 3050 East and entered the intersection with the intent to turn left, or westbound, onto Red Cliffs Drive. At the same time, the SUV was southbound through the intersection from Green Springs Drive and had the right of way, Kantor said. 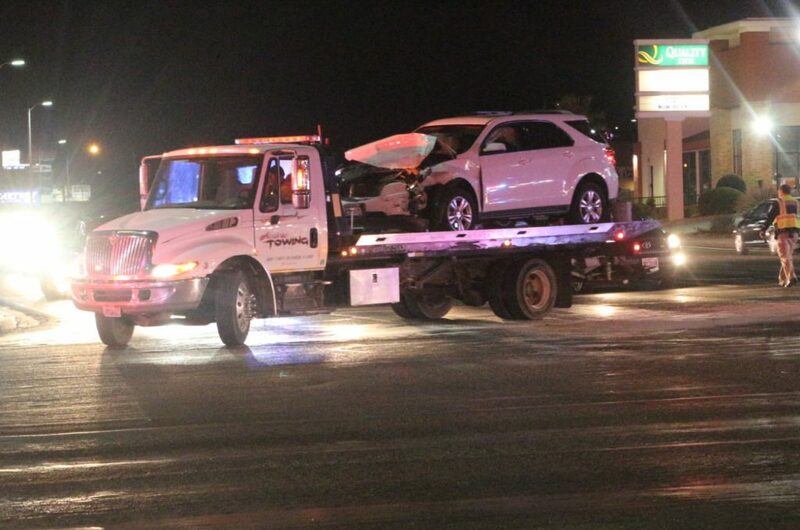 The SUV collided headlong into the pickup as it turned in front of the southbound vehicle. 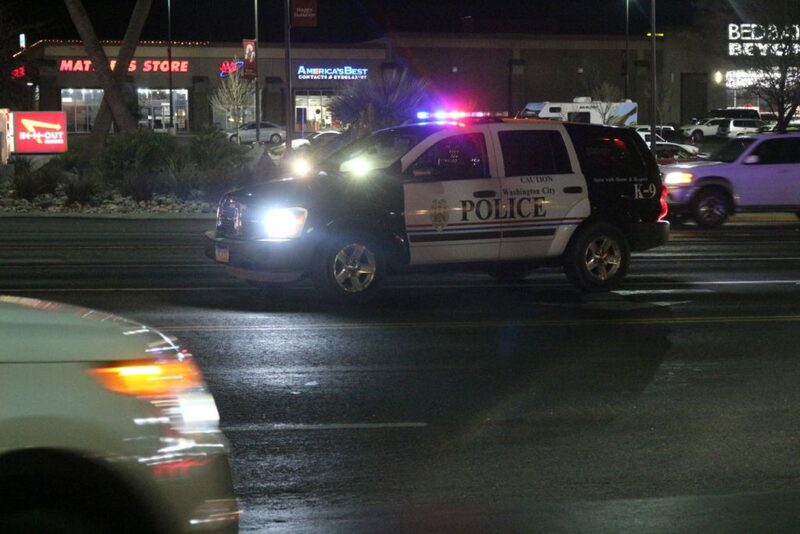 The collision occurred primarily in the southwest corner of the intersection and partially blocked traffic. Some Washington City Police officers directed traffic around and through the intersection as the crash scene was tended to and ultimately cleared by 7:30 p.m.. 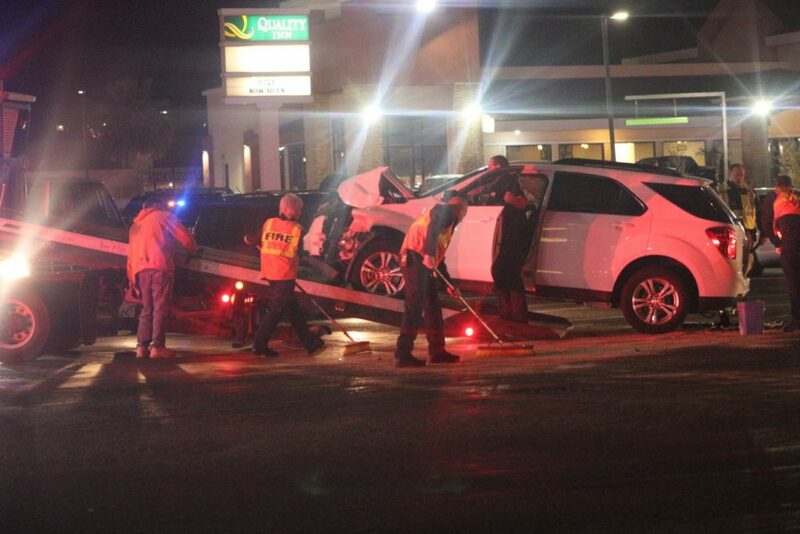 Both drivers were wearing seat belts at the time of the crash and airbags went off in the SUV. However, the SUV driver, a woman who was the sole occupant in the vehicle at the time, was taken to Dixie Regional Medical Center with unspecified injuries, Kantor said. 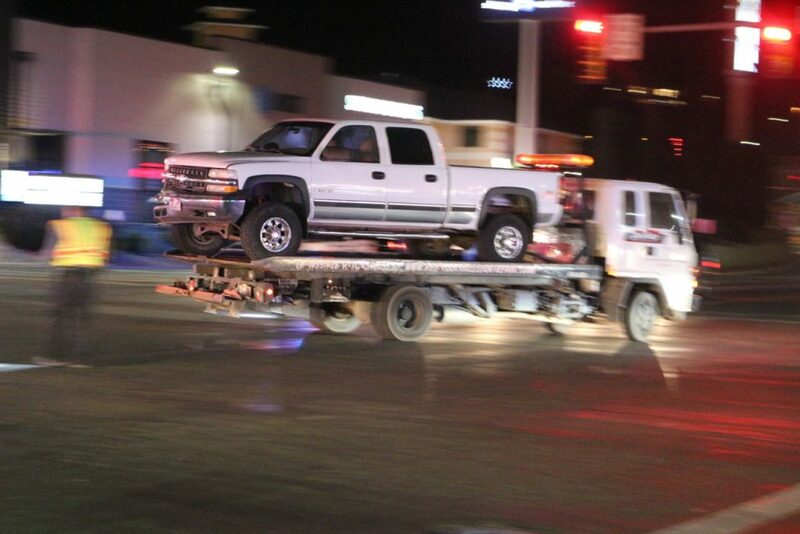 The driver of the pickup truck, an adult male, was cited for failing to yield to traffic on a left turn. No signs of impairment were found by officers who responded to the crash, Kantor said. Also responding to the scene was Gold Cross Ambulance and the Washington City Fire Department. Happens more and more eachday everywhere here in southern Utah as drivers continue to make a left turn through a red light long after it turns red….bad habbits end badly….enjoy your higher insurance rates….your few seconds saved running that red sure saved your day huh?